It's no secret that this nation was built on the ingenuity and hard work of our forefathers and mothers, from early leaders whose visions shaped the institutions and ideals we've come to rely on to the everyday laborers - slaves and other workers - who toiled in the trenches to bring such lofty goals to fruition. Perhaps one of the most vivid, lingering illustrations of this is the Santee Canal, located at the northern tip of Lake Moultrie in Berkeley County. Built over seven years, 1793 to 1800, the 22-mile-long canal connected the Santee and Cooper rivers. This was a great boon to inland farmers who, before the canal was built, had to navigate small boats over a treacherous run from the mouth of the Santee River across an open stretch of the Atlantic Ocean to Charleston Harbor where they sold their goods. In service for 50 years - operations shut down in 1850 because of a long drought and competition with the burgeoning railroad - the Santee Canal saved many a South Carolina farmer from financial ruin, or worse, on the high seas. Fast forward a couple of hundred years, and the picture is very different: Lake Moultrie covers much of the land through which the canal once flowed, and traffic on the canal and adjacent waterways is of the recreational variety. That's where the Berkeley County Blueways project came in, uniting rich history and modern recreation by mapping 175 miles of scenic watercourses in Berkeley County and promoting these historic paddle trails to recreational canoe and kayak enthusiasts through an interactive Web site. The Berkeley Conservation District undertook the mapping of these trails with help from their many project partners, including the Farm and Land Services Department of Berkeley County, Santee Cooper, the S.C. Department of Natural Resources, the U.S. Forest Service, the GIS Department of Berkeley County and members of the Carolina Gypsy Paddlers. Make the Berkeley Blueways Web site, www.berkeleyblueways.com, your first stop for this field trip. 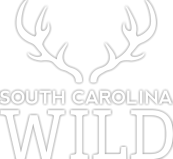 Print out detailed maps of all the trails for free, get contact information to request an inexpensive hard copy of the complete trail guide and check out the supplemental information about paddling in South Carolina. 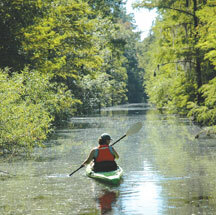 Paddlers exploring the Santee Canal should set out from Angels Cove Landing in Pineville. To get to the put-in, exit I-26 onto SC Highway 27/Old Gilliard Road going east. Travel 4 miles, then turn right onto Mudville Road. Travel on Mudville Road for a total of 11.75 miles, continuing on to the intersection with SC Highway 311 and SC Highway 6. At this intersection, cross straight over onto SC Highway 6/Ranger Drive, and continue traveling east. Stay on Ranger Drive for 7.9 miles until you reach a dead-end intersection with SC Highway 45. (Note that after about 5 miles into this leg of the trip, Highway 6 turns left. Be sure to go straight on Ranger Drive to SC Highway 45.) Turn right onto SC Highway 45, cross over the Rediversion Canal Bridge and travel 1.25 miles to Viper Road. Turn right onto Viper Road and follow it to the end (approximately 2.5 miles), where you will find Angels Cove Landing, which features a nice launching facility and restaurant. Before you launch, check your supplies. 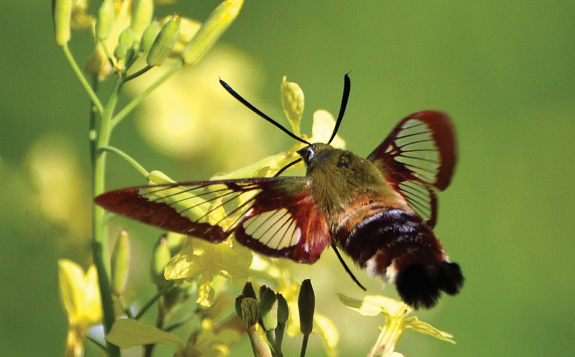 You will need standard paddling gear, including a life jacket for each paddler, plenty of water, sunscreen, bug spray and a Berkeley Blueways map of the North Moultrie Trail. Paddlers with bee allergies should also be sure to pack the necessary emergency medications, as you will encounter many low-hanging branches that may harbor bee or wasp nests. Also, keep in mind that you will be paddling on the open waters of Lake Moultrie for a portion of your trip, so a hat and sunglasses will be helpful in keeping the sun and glare out of your eyes. Turn left as you leave Angels Cove and continue traveling north along the Lake Moultrie shoreline for approximately 3 miles until you reach the entrance to the Santee Canal. This portion of the trip can be shortened by traveling across the mouths of the inlets that make this stretch of shore into a snaky squiggle. 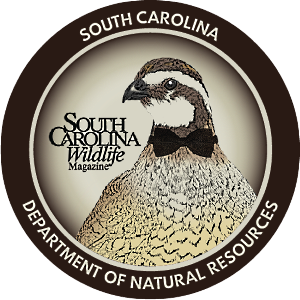 The entrance to the Santee Canal is not marked, but it is clearly indicated on the North Moultrie Trail map, so be sure to keep your copy within reach. 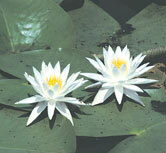 As you paddle along the shoreline of Lake Moultrie, take some time to observe the land and water around you. Look to the left at the dense, green, jungle-like vegetation that lines the shore. This prehistoric scene is just a taste of what you will encounter when you enter the canal. Imagine what this sprawling, mysterious land was like before the Santee Dam formed this 60,400-acre reservoir. Turn to your right, and take in the contrast between open sky and dark water dotted with giant lily pads and picturesque cypress trees. Eagle-eyed paddlers may even spot a beautifully iridescent blue jay perched on a cypress branch or a stately osprey diving at break-neck speed for a fish snack. Dip your hand into the cool water, then lift it out and feel the tiny droplets warm on your skin before they evaporate into the hot, late-summer air. Entering the canal, you may begin to wonder if the craft you are paddling is a canoe, a kayak or a time machine. 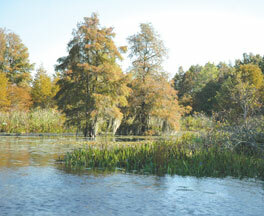 Lush, dense vegetation; bright white, purple and yellow blossoms; hundreds of almost neon-green lily pads, large and small; thick patches of floating duckweed; tall trees draped with Spanish moss and maybe even a scale-armored alligator will greet you at the entrance to this canal that time forgot. It should be noted that alligators do inhabit the area, so caution is a must. But do not let fear prevent you from experiencing this one-of-a-kind paddle trail. As the saying goes, these alligators are more afraid of you than you are of them, and they will flee at the first sign of human presence. If you pass an alligator lying on the shore, you will likely see little more of it than the splash and submerged outline it creates as it scrambles to make a watery escape. As you move deeper into the Santee Canal, you will notice that the high, flat, even banks become increasingly irregular and begin to narrow. This trend will continue until the way becomes virtually impassable. When you have gone as far into the canal as you comfortably can, turn around and head back out the way you came. As you move through areas you have already covered on the way in, take care to look at things from a different perspective by zig-zagging between the banks and slowing your pace. Look straight up into the canopy overhead, which leans in from the high banks. Large, luminous treetop spider webs create a dramatic visual effect against the green of the trees and blue of the sky. In a setting as complex and beautiful as this one, you are sure to see things you missed the first time around. When you exit the canal, turn to the right and paddle southward back to Angels Cove Landing, where we end our field trip on the Santee Canal. 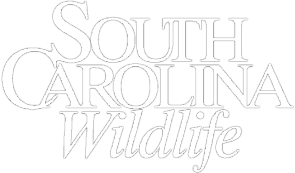 Elizabeth Renedo is a flatwater kayaking enthusiast and managing editor of S.C. Wildlife magazine. Field Trip thanks Barry Jurs of Berkeley County, Jim Hatch of the Berkeley County Conservation District and Archie Thompson of the Carolina Gypsy Paddlers for making this Field Trip such a success.